Professional dog-walker Cat Palmer's business is really starting to take off. With the help of her friends and flatmates, Polly and Joe, word has spread and she's taken on more clients. When she meets struggling single mum Frankie, Cat wants to help out - and not only with her dog, Olaf. 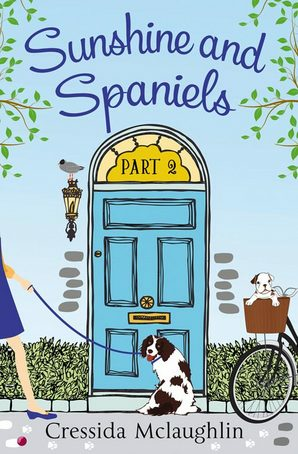 Sunshine and Spaniels is the second part of Cressida McLaughlin's Primrose Terrace series and I was looking forward to meeting up with Cat and her four-legged friends again. In the first part, I fell in love with puppy Disco, so I was glad she returned in this part too - as well as new, equally adorable dogs. Although only a novella, there is quite a lot packed into Sunshine and Spaniels and I liked that there were several threads happening, which made for an interesting, fast-paced read. As well as Cat's intention to find a solution for Frankie's problems, there is also the mystery of Paris, an unhappy little papillon who seems scared to go outside and the seeds of a love interest for Cat's friend, Polly. Cat is a great character and I like that she is always willing to help out her friends and neighbours, even if the problem isn't easily solved. She's fun and caring and obviously dotes on the animals in her care. Cat's business life is going well, but the same can't be said about her love life. Cat has a crush on her neighbour, Mark and although he shows signs that he likes her too, Cat doesn't know much about him yet, which worries her. There is another potential love interest on the horizon, however, so I'm looking forward to the next part in the series to see how it all works out for Cat. Sunshine and Spaniels is a lovely, dog-tastic read. I enjoyed getting to know more residents of Primrose Terrace as well as some from further afield in Fairview. 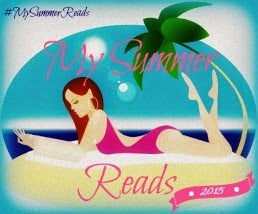 My Summer Reads is a celebration of summer reading, with reviews, giveaways and sunshiny reading habits.